You can teach a person ethics. This should be obvious since most parents teach most children ethics to some extent – although not as much as we might like. The reason we can teach children ethics is that children respond to incentives, whether it is a new toy for telling the truth or a pronounced glare for lying. 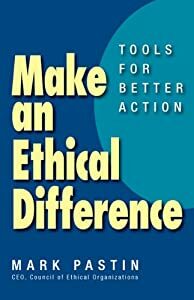 Companies spend tens of millions of dollars trying to talk their employees into acting ethically. But they keep the same reward system that they have always used in which ethics plays no part. And so nothing changes.